I can't rightfully say what the discussion around CD-ROM as a format was back in the 1980s, as I was pretty young back then and didn't really follow nor was I even aware of such mediums beyond floppies or cassette tapes. CD-ROMS were just some tech that was at times featured as a tech flavour in movies like James Bond (I think it was featured at least on License to Kill, even as a writable format when Bond copies files to disc), but other than I had no idea such a thing existed, as we didn't even have a CD-player. I'm at least relatively sure that we didn't have one before the mid to late 1990s. Hell, my first introduction to writable CD's was in the late '90s, when a school buddy bought a drive and started burning music collections to other people for a fee. It was an expensive device, but it made its price back I reckon. In any case, my own introduction to the fantastic 650 MB capacity of CD-ROMS happened like it probably did with many others of my contemporaries: via multimedia. When we got ourselves a brand new 486-SX 66MhZ PC, it was a full-blown multimedia device, capable of sounds, music and graphics we had only dreamt off. Our old workhorse with its 8088 processors was immediately dumped, or at least I think we never had a 286 PC, as we sure as hell didn't have a 386, over which I envied one of my friends before we finally stepped to the modern age of PC technology. But then again, I do remember playing games that would not have necessarily ran on 8088 CPU, so there must have been a 286 in between. So what was the first application we had on this computer, which back then set our poor mother back thousands of euros? The New Grolier Multimedia Encyclopedia, Release 6. 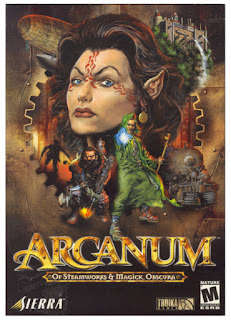 I know it doesn't really sound that exciting, especially now in this world of high-speed internet connections, Wikipedia and 4K YouTube videos, but back then, that now ancient and technologically dated CD-ROM with its low-resolution videos and low sample sound effects was an awe breaking experience, that even managed to contribute something to my school homework now and then. I know it's hard to imagine, but back then this was astonishing: video, sound, animation and text all mixed in a cohesive, easily navigatable package. It actually tells something about the design quality of the UI, as I still think it's fairly simple to use. It even has some very nice search features, which allow you to highlight things and search them from the index. In many ways, software like The New Grolier Multimedia Encyclopedia were harbingers of what the internet would bring out later. When the network speeds weren't yet capable of bringing out the similar experiences online, the multimedia CD-ROMS were the perfect solution to that. goes with Wikipedia as well, as it is a source maintained by enthusiasts, but not necessarily experts. 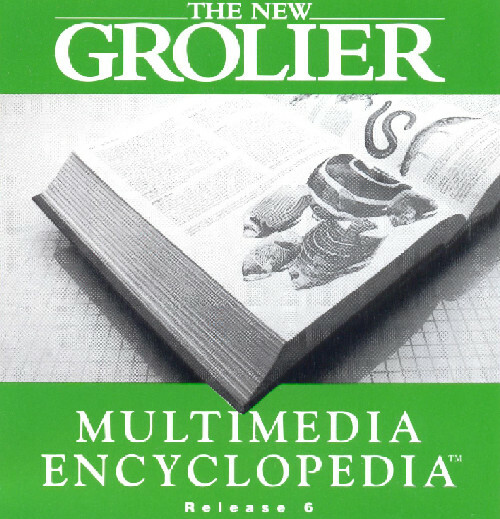 The New Grolier Multimedia Encyclopedia was not the first multimedia CD-ROM made, far from it. 1990's wasn't even the era when the term itself was coined. But for me, it was the first time I had actually experienced it in person. It is also a piece of relatively well-made software, with a good grasp on how things like user interface and user experience should be handled. As for the company itself, Grolier, it still exists. It was founded back in 1909 as an encyclopedia publisher. Nowadays it is a part of Scholastic, under which it operates Grolier Online, which I assume does what their old multimedia encyclopedias did for years before the explosion of the net. And that's the end of my little stroll on the nostalgic lanes of early 1990's multimedia. It was fun, to turn on the old encyclopedia after all this time, and it made me feel like I should do another write up on even more multimedia. And that's what I intended to do, with titles I never did experience when they were mint back in the day. What exciting days we live, eh? post to be updazted on a regular basis. It carries nice material. If you are interedsted feel free to shoot me aan e-mail. Exceptional post however , I wass wondering if you could wriute a litte more on tthis subject? improve my site!I suppose its ok too use some of your ideas!! I seriouslly love your website.. Great colors & theme. Hi there! I know this is kinda offf topic nevertheless I'd figured I'd ask. shoot me an email. I look forward to hering from you! My brotheer recommended I might like this webb site. day. You cann't imagine simply how much time I had spent foor this info! coding know-how so I wanted to get advice from somerone with experience. I'm hoping to stqrt my own sige soon but I'm a little loxt on everything. Wordpress or go for a paid option? There aree so many options out there that I'm completely overwhelmed ..
overlapping. I juyst wanted to give you a quick heads up! Otheer then that, very good blog! I know it sounds like a cliche, but just start writing, preferably something you like yourself. The worst thing you can really think of is if someone likes what you write, as there will always be people who do and those who don't. 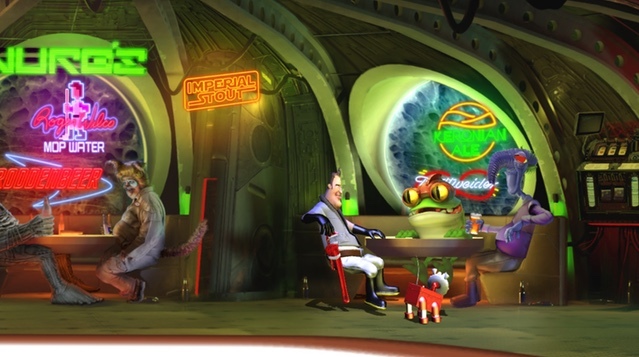 I tried to come up with my first blog for the longest time, thinking it should be something special, and then I ended up writing about a game I really didn't care that much of. But after I had written it, things felt like easing up a bit, as, in the end, the first step is always the hardest. And all other cliches you can come up with. So, just write what you want and that's that. I have to confess I don't really give one iota about Internet Explorer as MS doesn't give any either. Blogger uses easy to use templates for layouts and all the publishing is done with Bloggers own editor. It isn't quite WYSIWYG, as the end result will somewhat depend on the template settings you have, but it is pretty easy to preview the post before you post it. You can, if you want, knife the HTML code by hand. Heya excepotional website! Does running a blog like this take a large amount of work? I have very little understanding of computer programming but I wwas hoping to start my own blog in the near future. How much time writing a blog like this really depends on what you want to do. Personally, I am using a ready-made template with some minor adjustments here and there. So the layout is pretty simple, as I trust Blogger to do the heavy lifting. Now writing itself, that depends on how often you intend to publish stuff. And how long and thorough you intend to be. I don't personally post daily, so it doesn't feel like actual work and I do tend to write about stuff I feel I have something to say. I've started a couple of posts I've then discarded on the grounds of that there just wasn't anything to say really. Then there is the big question of if you are actually thinking of making money out from this. Now that requires work, as you'd have to promote your site and preferably get in sponsored content now and then. So, yeah, how much time something like this takes, very much depends on what you intend to do. I'd ask. Would you be interested in trading links orr maybe guest authoring a blog post or vice-versa? It could be interesting. I don't know your email though. Thanks. Always nice to hear someone enjoying what I do here. If you want greater control over how the page looks and functions, you might want to use Wordpress. If on the other hand, all you want to do is a blog, you can do that on Wordpress as well, you can use Blogger like I am, which is also free. You can always start with something like Blogger and if your needs grow, you can migrate your stuff to Wordpress platform. But it all is really about what you think is the best option for you. Me, I'm a bit lazy, personally, so I opted to go with Blogger and tweak an existing theme to my liking. I'm planning to start my own blog in the near future but I'm having a hard time choozing between BlogEngine/Wordpress/B2evolution and Drupal. I'm using Blogger with a slightly (very slightly) modified Emporio theme. As far spam goes, there's very little you can do besides utilizing spam analyzer of Disqus or Blogger. Spam sadly is just something you have to tolerate if you want to keep commenting on, as short to completely blocking them no filter is enough stop it completely. founmd iit and I'll be book-marking and checking back often!